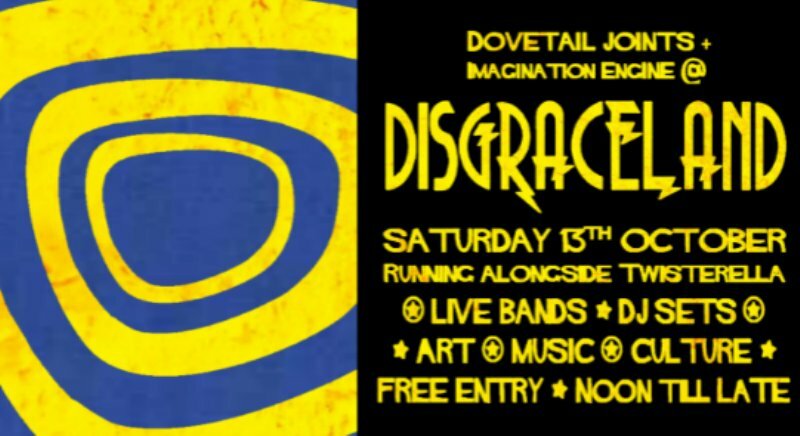 A diverse event space in Middlesbrough welcomes a host of exciting bands and artists on Saturday 13th October, with an all-day celebration of creative talent at Disgraceland courtesy of Dovetail Joints. A collaboration between independent record label Imagination Engine Records and artist Bobby Benjamin’s ethereal exhibition Dovetail Joints. Culture clashes with art and music, with live bands, video artists, DJs, a pop-up bar, and a late-night screening all packed in to the venue. There’s live music from NOVYI LEF, 99watts, Faithful Johannes, Leopard Rays, Sorry Escalator and OORT CLOUD, with an eclectic bill showing off a whole load of awesome music, running until late for some unique party fun. Dovetail Joints is at Disgraceland, Middlesbrough on Saturday 13th October.